Catering Trailer Developments – Is Street Food here for the Long Haul? Welcome to the Duck Truck and Star’s mPOP™! German Engineered Street Food Grill is Cooking up a Storm! Streets Kitchen - We Need Your Help.. Create the perfect magical setting with your very own pop up Santa’s Grotto! PARKLANDS GALTRES FESTIVAL ORGANISER CEASES TRADING OWING TRADERS £1000'S! The true cost of a burger - an insight into street food pricing. 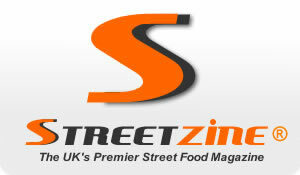 Copyright 2019 Street Food News - Streetzine is a registered trade mark.